The defence sources said commandos of Indian Army took position at a vantage point on the LoC overlooking the Chakothi-Muzaffarabad road in Pakistan-controlled Kashmir. 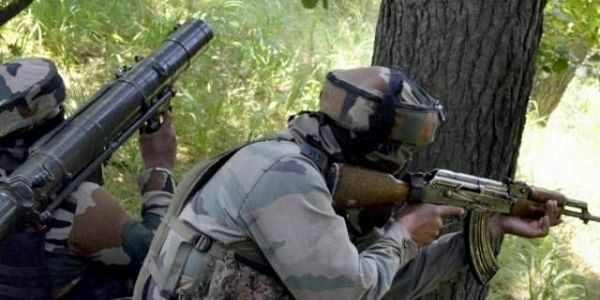 SRINAGAR: The Indian Army on Monday evening killed two Pakistani troopers in a counter offensive strike on the LoC in Kashmir's Uri sector to foil a Border Action Team (BAT) attack from the Pakistani side. Defence sources said in Srinagar on Tuesday: "Special forces of the army targetted the Pakistani troopers along the Uri LoC (Line of Control) yesterday." "Inflicting casualties on the Pakistani troopers, a convoy of three vehicles was attacked by our troopers in which two Pakistani troopers were killed and four injured," the source said. "The weekly run of the Srinagar-Muzaffarabad bus service was cancelled on Monday as our troopers were carrying out a major counter offensive strike to pre-empt any BAT attack from the Pakistani side," it added. The sources said the counter offensive operation strike was carried out by the Indian Army as it had actionable information that the militants allegedly assisted by Pakistani Army were planning a BAT attack on the Indian troopers in Uri sector.